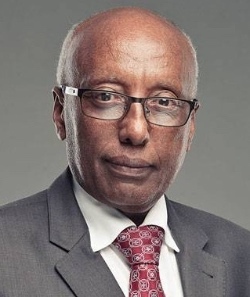 Berhanu Abegaz is the Executive Director of the African Academy of Sciences. After receiving his B.Sc. in Chemistry in 1968 he went on to complete his PhD in 1973 at the University of Vermont, USA. Before joining AAS Prof. Abegaz was professor of chemistry at the University of Botswana in Gaborone for 17 years. He has also been a member of the chemistry department at the Addis Ababa University in Ethiopia from 1973 until 1994. He was elected a member of the Third World Academy of Sciences in 1998. Since 2002, he has been a provisional member of the IUPAC Organic and Biomolecular Chemistry Division. He served as the first president of the Chemical Society of Ethiopia and founding editor of the Bulletin of the Chemical Society of Ethiopia. He was a founding member of the Natural Products Research Network for Eastern and Central Africa, and from 1992 to 2011 founded and coordinated the Network for Analytical and Biological Services for Africa (NABSA). He has served in several international committees and won numerous awards.